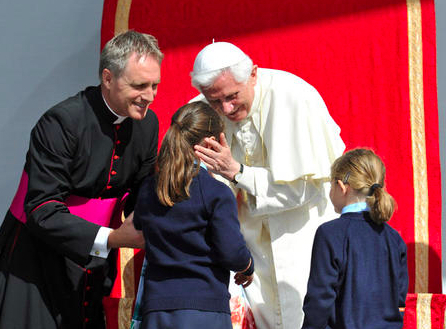 • Pope Benedict in the UK – a bright spot for the Church | Is The Pope a Catholic? « Liberté, égalité… and burkas! Totally agree, I’ve been glued to the coverage all day. I think the crowds, the brilliant response and the amazing coverage by Sky News has removed any doubts about the place of religion in a modern Britain. I think there is genuine surprise at the enthusiasm of the welcome. The Pope has been given so much negative press in recent times that sections of the media were beginning to believe their own rhetoric and the ordinary Catholic man or woman was really feeling under attack. After this visit, there’ll be a new sense of hope and joy. Just watched the Prayer Vigil in Hyde Park- absolutely amazing and uplifting-a truly happy occasion for all present and must have brought joy to the heart of Pope Benedict. Ooooh, I’m not so sure. Thanks for the link Shane. So I’ll stick to my guns (or David Quinn’s guns…) : it was one of the most of uplifting few days we’ve had, faith-wise, in a good while in this part of the world and we needed it!